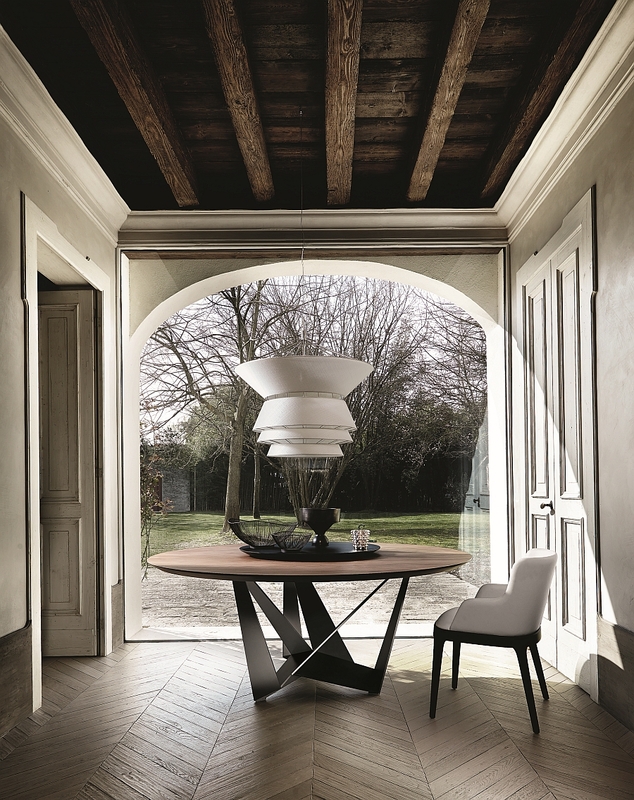 It was just a couple of days ago that we featured some amazing contemporary dining tables that stole the show with their sculptural design. 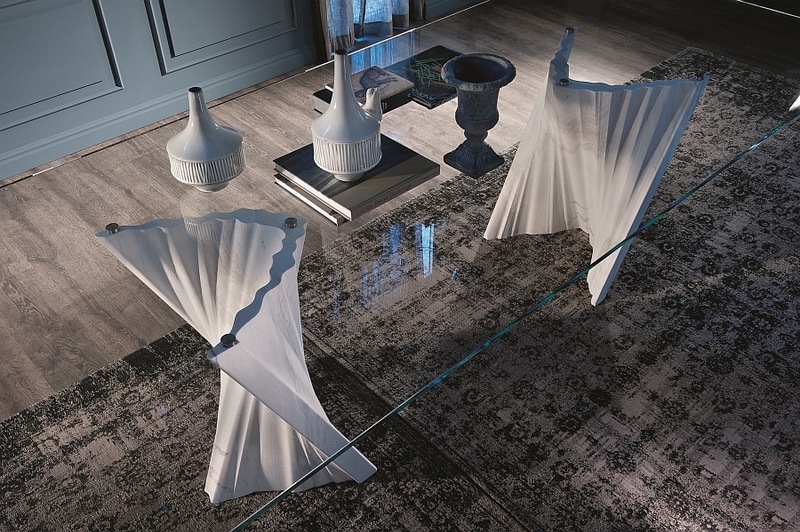 Today, we take a look at three different tables from Cattelan Italia, which promise to take the style quotient of your home to a whole new level. 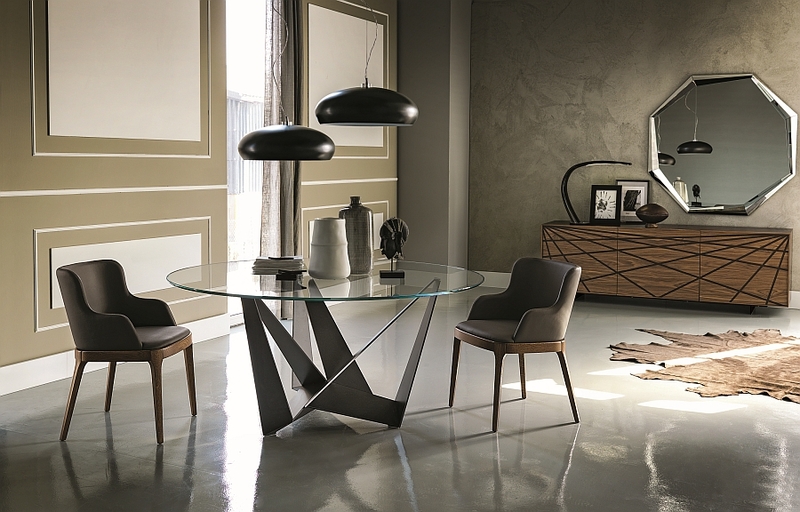 Bringing home fine Italian design with elegant sophistication, each of these tables offers something unique and exceptional in terms of geometric and visual contrast. 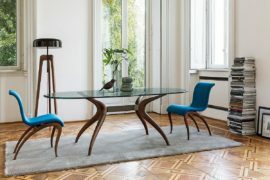 Re-imagining the traditional table base in inventive forms, this trio made its debut at the International Furniture Fair in Milan. 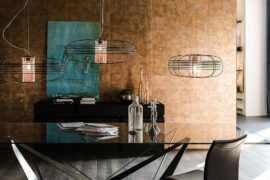 If you are a fan of ancient Green architecture and sculptures, the mesmerizing PLISSET is a table that will woo you in an instant. 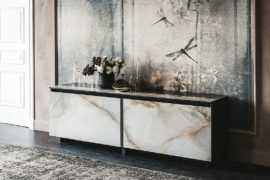 Crafted with a sense of panache and drama by Raffaello Gagliotto, the table’s exceptional base in rosewood marble ensures that it instantly becomes the focal point of any home office or dining space. 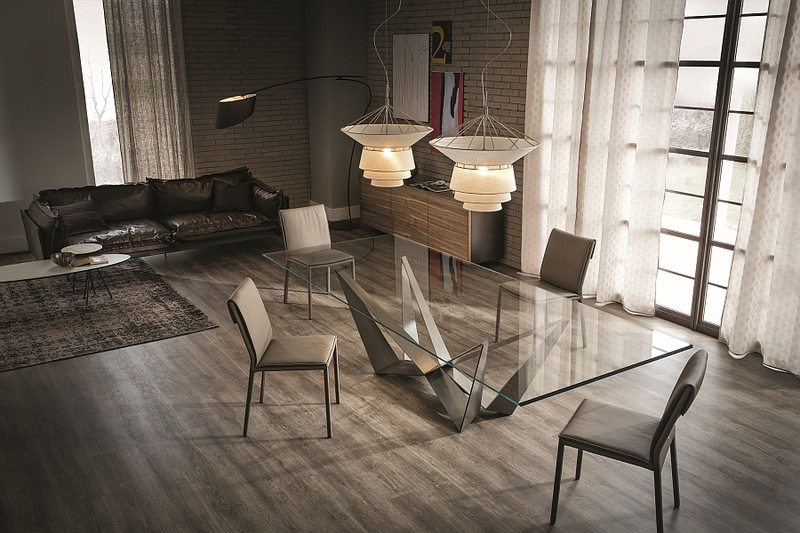 A great table even for the corporate spaces, the transparent glass top offers the perfect contrast to the solid and sturdy base. 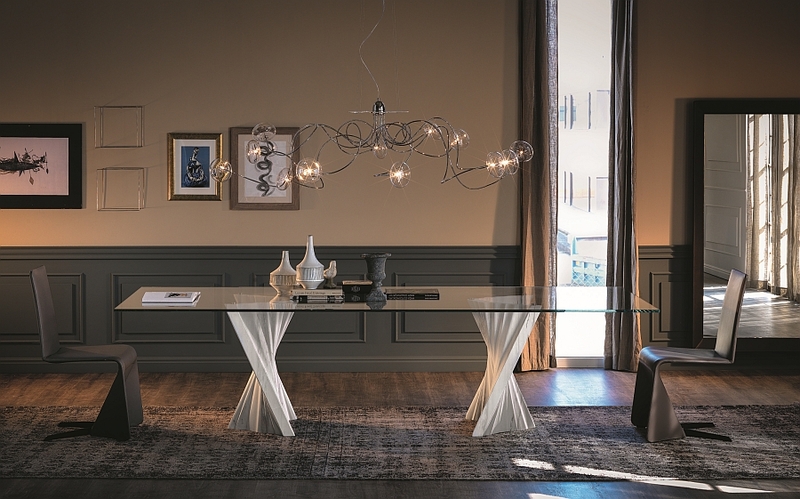 Creating a captivating interplay of light and shadows, its contorted base is indeed a showstopper! Geometric Style and Marine Magic! 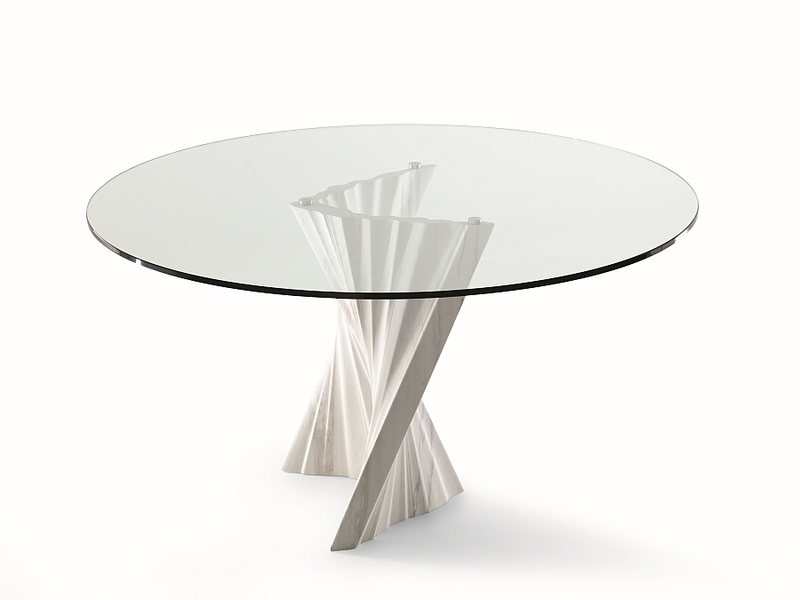 The SKORPIO table takes a completely different approach from the PLISSET and uses a base that is all about crisp, straight lines. 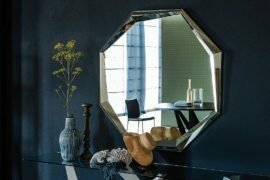 This makes it a perfect fit in modern, transitional and minimal spaces, and its visually overlapping metal legs form an “X”, which adds to the overall geometric diversity of the interior. 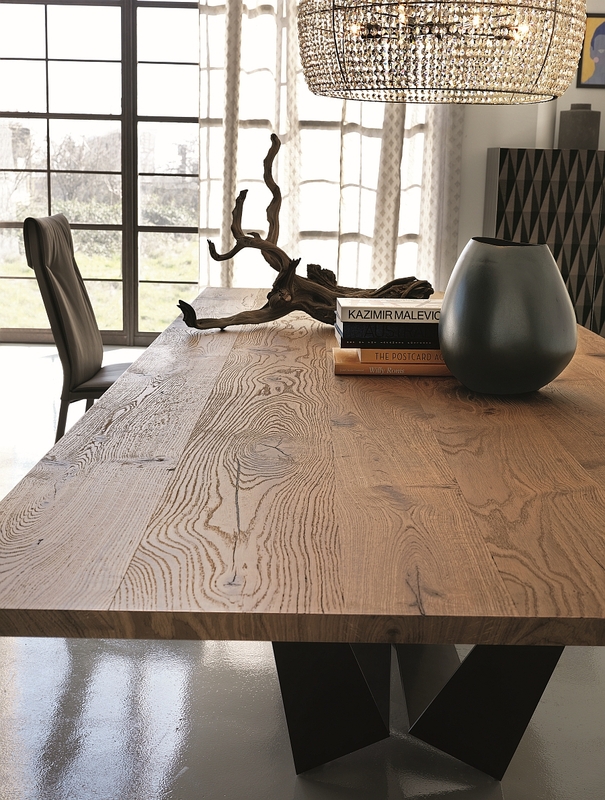 Coming with a clear glass top and a specially crafted heritage oak top, this table allows you to pick a style that suits your home the best. 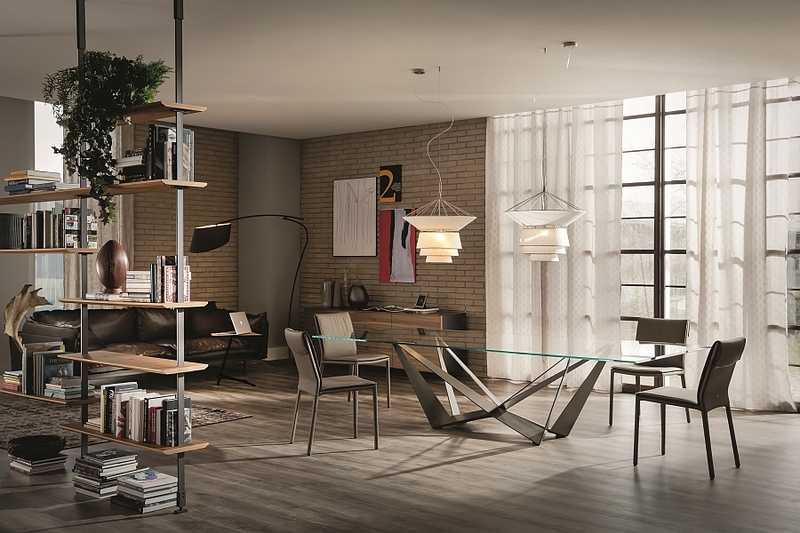 Designed by Andrea Lucatello and Paolo Cattelan, this is a table for those who prefer urbane elegance. 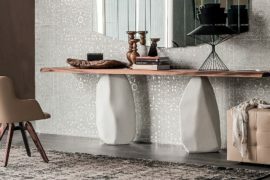 And finishing the trio is the VIETATO BAGNARSI side table that you see in the last two images here. 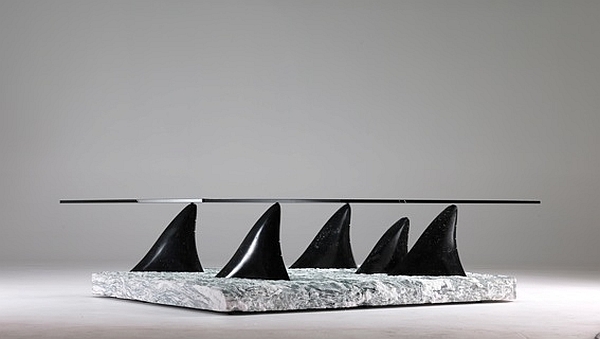 A limited edition creation designed by Giulio Lazzotti, this playful and trendy little delight was inspired by the fins of a dolphin. 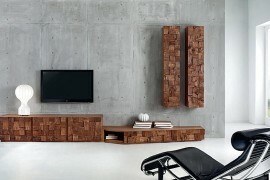 Obviously you do not have to look too hard to notice that! 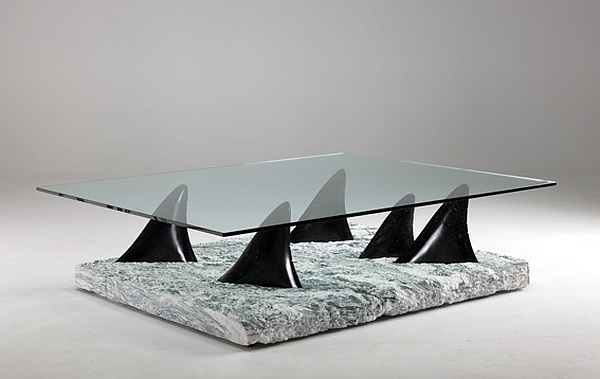 Bringing together glass, stone and artistic brilliance, it sure adds a touch of novelty to the living room.